Chemical treatments for head lice contain potent pesticides and insecticides known as pediculicides. These pediculicides have been known to cause immunosuppression, seizures, vomiting, diarrhea, convulsions, circulatory collapse behavioral changes, neuromuscular damage, chronic skin eruptions, liver damage, asthma, respiratory failure, stillbirths, birth defects, cancer and even death. Unfortunately, the uninformed parent using treatments containing pesticides may tend to use more, leave them on for longer periods of time or even apply them too often, increasing the risk. Be sure to visit our page IMMUNE SYSTEM INFO on how to help heal the immune and nervous systems if you have used Nix, Rid, or any of the other chemical-based lice treatments — especially if you used them more than once. Lindane is not only a nerve poison but also a known carcinogen (cancer causing agent). Lindane has also been reported to have reproductive and endocrine-disrupting effects. Lindane is absorbed quickly through the skin. Malathion is a slightly toxic compound in EPA toxicity class III. 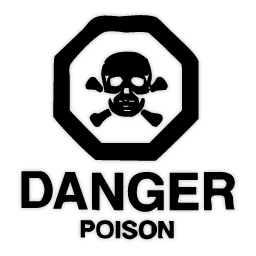 Labels for products containing it must carry the signal word CAUTION, meaning an ounce to a pint can be fatal to an adult male of 175 pounds. Malathion is an organophosphate, a cholinesterase inhibitor. Cholinesterase inhibition in humans can overstimulate the nervous system causing nausea, dizziness, confusion, and, at very high exposures (e.g. accidents, major spills), respiratory paralysis and death. Malathion is available as a prescription-only lice remedy called Ovide®. Here is a page explaining the different grades and safety concerns of malathion compiled by Mendicis, the company that manufactures Ovide®. Pyrethrum comes from the chrysanthemum flower. Though naturally derived, pyrethrins are still pesticides which have recently been banned from agricultural use in food production. The concern is that pyrethrins can cause pneumonia, muscle paralysis, death due to respiratory failure, vomiting, and asthma. (But you can still get it in head lice treatments such as NixTM). Pyrethroids are the synthetic chemical counterparts (as contained in RIDTM) that have the same effects. PERMETHRIN — Permethrin is a broad-spectrum synthetic pyrethroid insecticide. As above, can cause pneumonia, vomiting, and asthma, muscle paralysis, death due to respiratory failure. CARBARYL: Carbaryl is a General Use Pesticide (GUP) that is often found in chemical head lice treatments, the formulations of which vary widely in toxicity to the nervous and respiratory systems resulting in nausea, stomach cramps, diarrhea, and excessive salivation. Other symptoms at high doses include sweating, blurring of vision, incoordination, and convulsions. Read about rebuilding health after using these products.